This is really not a question, but a suggestion. While I think your son is right that Western Digital makes good products, I think this applies only to their enterprise products and not so much to their consumer grade devices. Their consumer grade devices are not that good. I happen to own several dozens of WD disks, some internal SATA disks, a My Book World Edition (NAS), a Passport Studio and a WD Elements. All these devices have failed me at one point or another. Although the WD Passport and WD Elements are extremely convenient due to their size and the fact they only need a USB cable, their failure rate is extremely high. Look for MTBF (Mean Time Between Failures) and you'll find there is little information for these models in that respect. The reason is that WD and other companies don't think it's worth their while to make robust devices for consumers and publish performance data. They DO publish such information for their enterprise products, though. I think one can use these devices as long as you make sure that at NO time the only copy of your data is on a WD passport. I'd recommend to always use a second device (preferably another make and model) to make a backup first before you even consider to remove photos from an SD card -- if at all. I'm sorry that I make this about computers again, while you want to devote your time to photography. I would hate to see you lose photos because of undue reliance on WD products, though. WD has long used the slogan "put your life on it", and I have done so, only to regret it when it was too late. 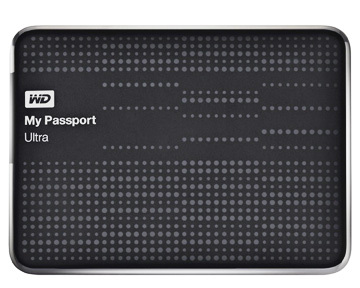 Thanks for sharing your thoughts on Western Digital as an accessory for backing up photos John, and thanks for visiting my site on digital photography.